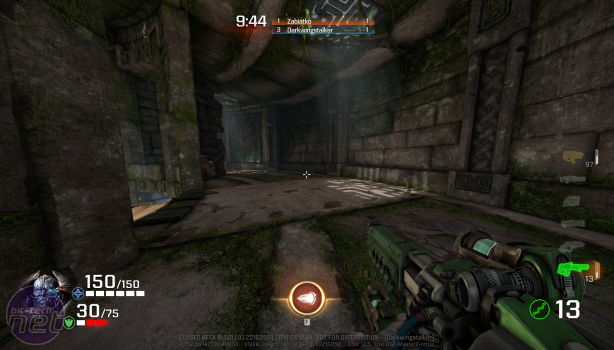 From its beta, Quake Champions feels an odd beast: It wants you to see that it’s the classic arena FPS you associate with Quake but also different now, with trappings of the new hero shooter genre thrown to such prominence by Overwatch. Most of the time, it succeeds. 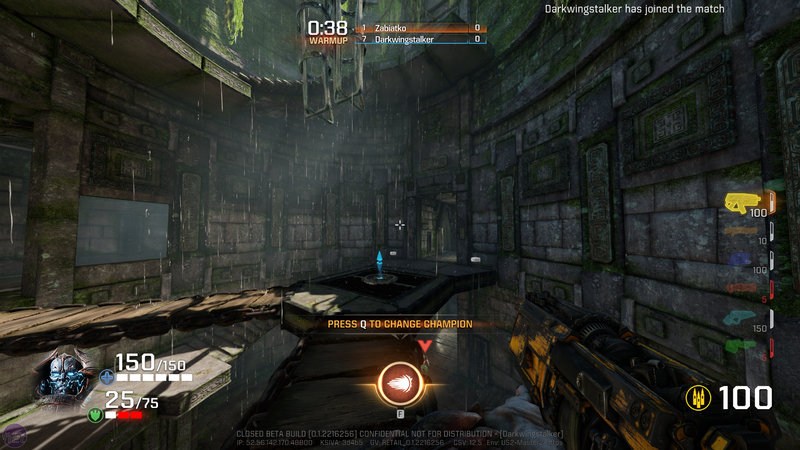 When you hit top speed, it really does feel like Quake, with each multi-kill giving you the warm and fuzzies, while after the mention of a Quad Damage power-up, a series classic that does exactly what it says on the tin, spawning into the map has me suddenly nervous, although the pace doesn’t let up. 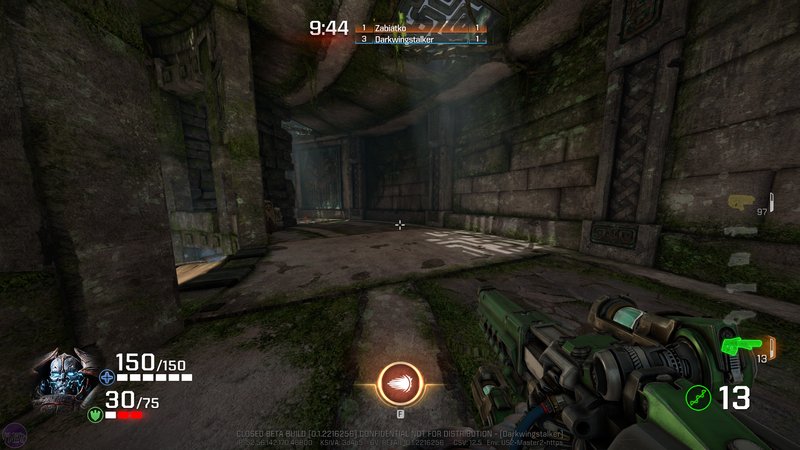 However, try as it might, the Quake Champions beta seems to lack some of what made previous Id Tech reinventions Wolfenstein: The New Order and Doom so special. 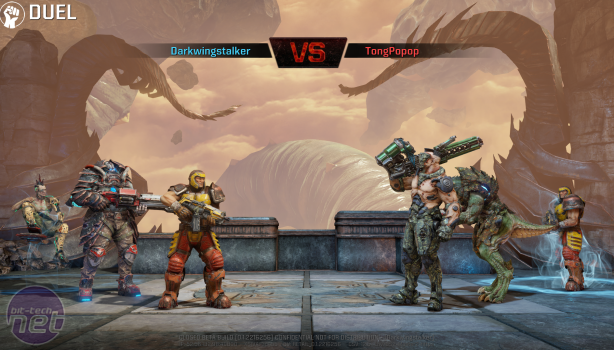 While they were slick reinventions that revived the brands with smart design and interesting mechanical choices, Quake Champions feels chained to its past, a "retro" shooter that’s fast, chaotic, and frequently gory but has a disappointing implementation of its core mechanic: the hero system. Heroes are underwhelming here, and while I tried my aim with several characters, each with their own health, armour, and speed stats alongside an 'ability' that's supposed to define the character, nothing felt essential. Paired with the cynical unlock system in the beta, where characters could be unlocked for 24 hours for a chunk of in-game currency, I found I just stuck with the basic character, Ranger. He had a middling set of stats, with the ability to toss an exploding ball of energy that you can also teleport to. The teleporting was very cool when I remembered to use it, but the pace of the game is so quick and death so fast that often I was just a few gibs splayed on a wall before I could engage my brain enough to get to safety. In the game’s defence, the in-game currency for a 24-hour loan of a character can be made in two or three successful games, but as my chosen way to play Champions was by jumping in over lunch for a couple of pulse pounding matches and then shelving it until the next day, it didn’t work for me, and I frequently had to repurchase champions at the start of each session. In the final game, you’ll be able to buy champions you like for good with real money, so maybe this will take care of the issues, but the unlock system left me a little cold. I had a poke around, and it appears you’ll be able to buy all of the heroes as a one-time deal in the future. This is nice, but my concerns with several of the 'pay cash-money for this' aspects remain. The gameplay, however, is sublime. 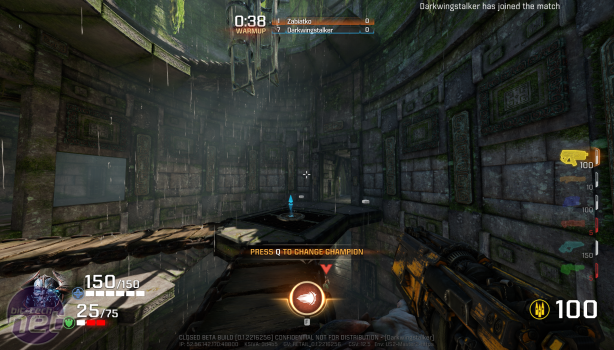 It’s not a game you can marathon or immerse yourself in; Quake Champions is a game you subject yourself to. Matches are akin to a lethal hurricane, and you’re in the eye of the storm, seconds away from being dashed into the ground as you come into contact with the endless cycle of blood, explosions, and violence. Each life you clutch your starting weapon as you dash to safety, desperately hoping you find a rocket launcher or shotgun before someone blasts or explodes you with one of their own. 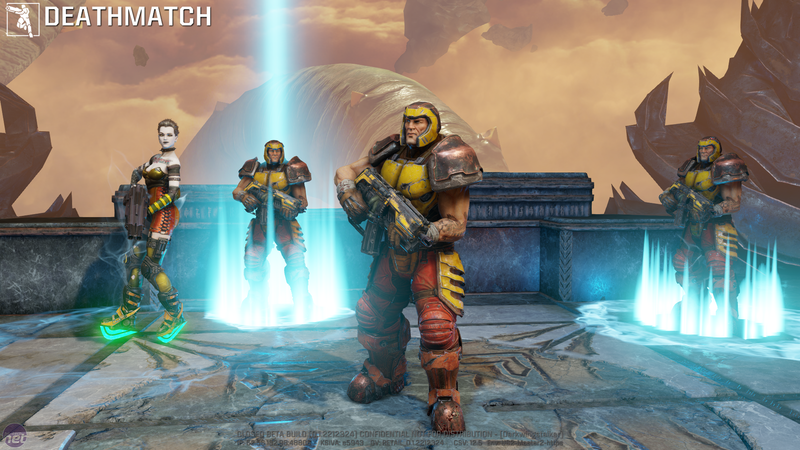 Shown off at QuakeCon 2016.